I had a package in the mail and it was from Maddings and Erin Rose! Wahoo!! Inside, there were 10 packs of cards and a stack of Indians cards. I will post the Indians cards later becuase i still have a post due for the multiple stacks I got from Bo Rosny a bit ago. 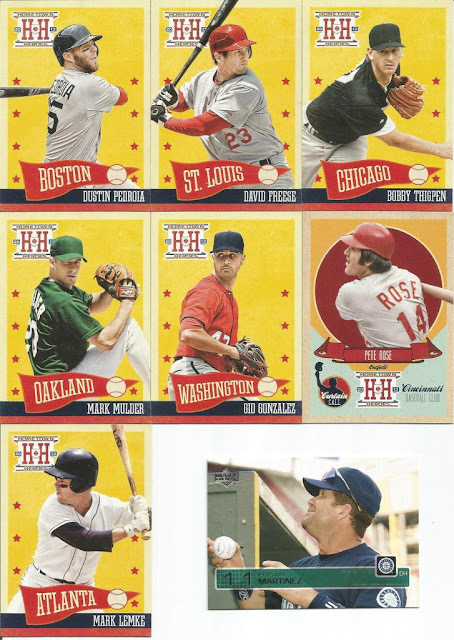 I do want to say that I have not looked at all the Indians cards in the Biggs (Maddings) stack, but there was one I could not help but see when I was unwrapping the tape from the packs. Consider this a teaser, but OH-Em-Gee. No, really. It is one of the coolest cards I have seen. You'll have to wait to see it - well, partially see it, that is! Quick OOTP update: I posted the latest game info to padcircus.com for you to look over. Please note: the most recent draftees are NOT in the game/on the right teams because I was a doof and forgot to put them in. Yeap, that is your commish at work here, folks. 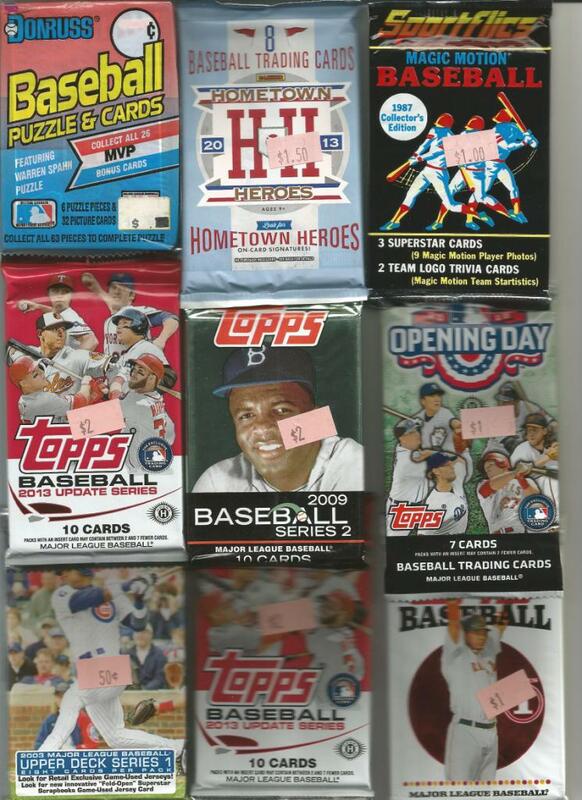 Here are 9 of the packs we got. Let's bust open a couple right now! Aw, say what!? Man, one hit away from a perfect pack and it comes right at the end. Well, certainly congrats goes to Maddings for pulling a card from a pack he sent along to us! Also, congrats to everyone else that grabbed a goodie from this one. Whoa! Well, congrats to Backtop Cards for breaking up a no-hitter! On the upside, more free agents for the next draft. Thank you so much, Kerry and Erin for the packs and for the Indians cards! Seriously, that "bonus" card is freakin' cool!